What Is The Purpose Of The TP Series Modular Bench? This bench is intended for use in manufacturing and building environments that need a bench that is easy to modify. 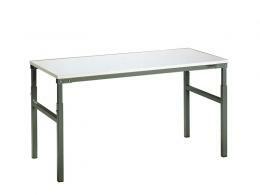 It is made to be a basic addition to a workspace and can provide extra worktop abilities to anyone who needs the space. It comes with many different accessories that can be added on to ensure that it will be able to suit the needs of anyone who chooses to put it in their shop, garage or office. The TP series modular bench can be used in any type of environment. It is suitable for work in manufacturing environments as well as garages or shops. It is a strong bench that can be used in the environment that you are in. It suits the needs of the people who use it and fits in perfectly with nearly any type of environment. 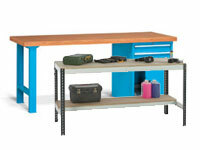 All places that need a workbench will be able to benefit from the options that are available for the modular bench. You can choose which accessories you want to add on to the bench for a completely customizable experience. It is an excellent addition to most shops, offices and kitchens. Users who need to sit as well as those who need to stand while working will be able to use this bench. The bench comes in several different fixed height options which allow users to choose which one that they want. The accessories that are available make the bench customizable and give you the options that you need for your workspace. 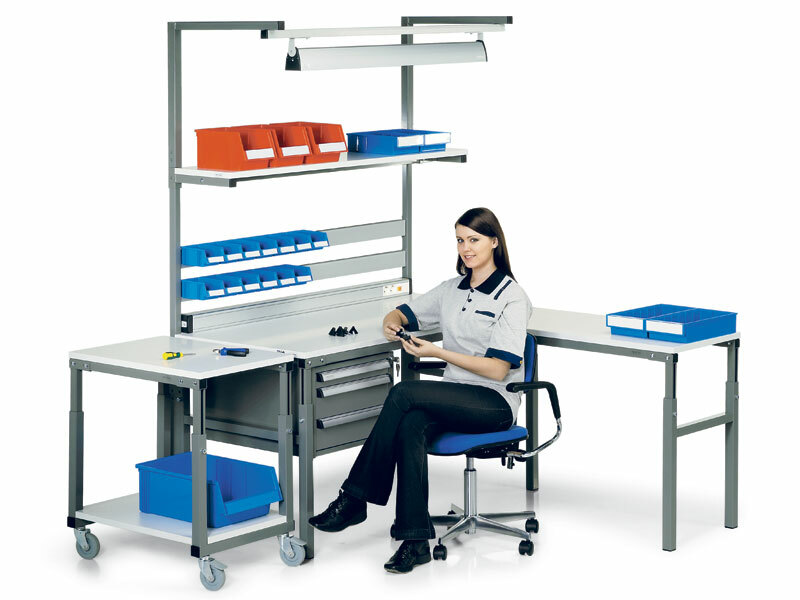 No matter what business you are in or what type of environment you work in, you will be able to benefit from the modular workbench because it is made to suit your exact needs. 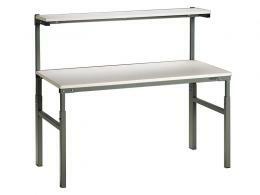 The workbench is made out of steel and is provided for users who need a medium duty workload. It is able to support up to 300kg of weight depending on which model is chosen. The height of the workbench is fixed, but can easily be changed with the use of an Allen wrench. It is a bench that is backed by a one year warranty that works to protect the parts as well as the labor required for fixing anything that is wrong with the bench.